Out of the numerous facial problems acne is one of the most common facial issue that poses a threat to not only ones beauty but also is a great inconvenience that gives excruciating pain. It is basically a unhealthy condition of the skin which results from the clogging of skin pores and hair follicles on account of the excessive oil secretion, dirt and dead skin cells. The preliminary stage of clogged pores leads to minor facial problems such as blackheads and whiteheads but the accentuated stage tends to aggravate the intensity of the clogged substances which become infectious with the passage of time and give rise to large raised cysts which become red and hard and give a lot of pain. Acne usually tends to be more prominent on the cheeks, shoulders, back, chest and nose and covers a vast area of the face and encumbers the real natural appeal of the face. The worst part of having acne is indeed suffering the pain and beauty killing looks but the fact that the aftermath of acne is more devastating as it leaves facial marks which again undermine the appeal of the face and over shadow the grace of looks; that is another reason for an epic beauty battle. Acne is something that has a horrid impression no matter what its stage. Initially they occur as inflamed lesions in the form of papules which are raised bumps filled with clogged secretions of oils and bacterial infections. The minor stage of acne is pimples which can be simple pointed bumps white in color with pus inside. The accentuated stage of these pimples is more dramatic and tends to spread out on the face with pain being an accomplice at all hours. The cluster of these pimples culminate in to nodules that become sensitive to touch and render excruciating pain. The worst part about acne is that after you tend to find relief from their menace on the face and body, it leaves behind scars and marks which becomes another hectic beauty ordeal to overcome. 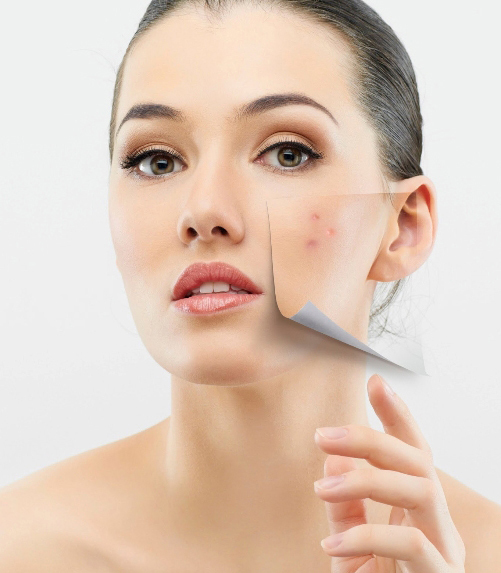 Treating acne is essential but before mentioning the ways and means to combat the growing issue it is imperative to know that adhering to preventive measures of simple skin care tips on daily basis can help keep the skin and its pores clean of factors that promote the emanation of acne. The use of skin cleansers is highly recommended for a beforehand fortification to tackle this issue in a painful way. Trying to burst the pimples will only worsen the matters and therefore; seeking medical treatment is the best way to potently free oneself of the condition. Improper diet that contains excessive carbohydrates, pregnancy changes, oily food, dirt and pollution are also some of the factors that greatly contribute to the rise of acne and they should be avoided or minimized as far as possible.